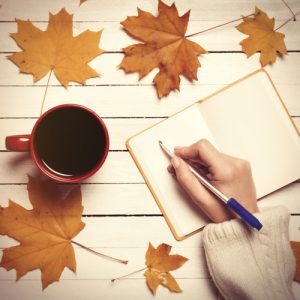 Fall is right around the corner, and I’m sharing my top 10 memoir tips as inspiration for this season I love, which can be a prolific time for writers, but also sometimes difficult. We’ve got the fresh start of back-to-school alongside holiday overwhelm, presenting conflicting energies for some. So dive in, and share anything that keeps you moving from month-to-month too. 6. Ask yourself: Who’s driving my memoir? Get behind the lens of your own memoir camera and think like the director of your own story. Too often I see aspiring memoirists not using the full range of their camera lens and instead staying completely zoomed out in the Big Picture, reluctant to zoom in and create the details of the scene they’re asking their reader to enter. Zooming out is the broader lens we use to show “how things are,” to move forward the plot. Three easy solutions are to read more memoirs and see how others describe their surroundings, don’t judge yourself for stopping to describe the scene, and don’t feel like your lying by describing scenes with specificity. You are not lying if you create a singular experience from something that you remember as having happened multiple times. This post is has also been published on the SparkPress blog.